Reusable code libraries let you deploy bullet-proof applications. Shamil shows you how to create a library of objects (with inheritance) that you can use to process Form events. All you have to do is use the WithEvents keyword and Access 97 objects. Modern programming uses the event-driven concept of application workflow. All of the actions that your application performs are triggered by a series of events. As I’ll show, this basic concept (together with some object-oriented programming) allows you to build sound, streamlined, and reusable code. In this article, I’m going to work with the events used by Access programmers to initialize Forms and process database data. 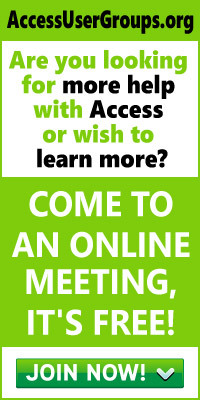 Access makes it very difficult to develop reusable event procedures. Generally, what developers do is write a standard routine and then call it from all the event procedures that it’s to be used from. This method isn’t very satisfactory when you develop large Access applications. For one thing, the calls to these standard routines must be placed in each and every control’s event routine on all of the Forms that use these functions. If you need to change the headers on these routines’ definitions or extend them to let them work with additional events, you have to edit all of the Forms and controls that use these functions. 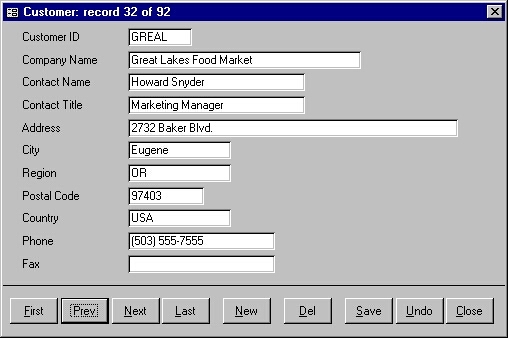 And, of course, if you put code behind a Form, you can’t use the “light-weight” Forms introduced in Access 95. If you don’t put your code in your Form but just call your functions from the Form’s event properties, you do get lighter-weight Forms. However, you give up all the parameters that Access passes to events like OnKeyDown and OnMouseMove. You also lose the ability to return values in parameters that allow you to cancel events (OnOpen, OnUnload) or suppress standard event processing (OnError, OnNotInList). These Forms aren’t true light-weight ones, either — their first function call will be slow as Access preloads all the code associated with the Form’s events. Recently, in postings to the Access-L listserve, Marek Kepinski showed how using the WithEvents keyword let him bind Form and control events to a class module’s procedures. (Marek’s article on this topic, “Programming WithEvents,” appeared in last month’s issue of Smart Access.) The result is a very different way to create reusable Access code that supports a Form of inheritance. To show how it works, I’ll start from some standard CBF code, generated by the Access wizards, and move it step by step to a set of class modules. I created a Form (see Figure 1) holding a wide variety of command buttons. What follows is the code for some of the command buttons (First, New, Delete) as generated by the Access 97 wizards. I dropped all the error handling and will also omit it from my later examples to save space. The first steps in this process are:To replace this code behind the Form (and so create a reusable object), I’m going to create what I call Dynamic External Event Processing (DEEP) objects — objects instantiated at runtime to catch and process the events of any Form and its controls. Save my sample Form as frmForm2. Create a Class module called clsFrmForm2. Move all the code from frmForm2 into the Class module. Several interesting things result from adding this code. All the objects declared in the code now appear in the module’s “Objects” combo box (the one in the top-left corner of the class module window). If you select one of these objects from the combo box and an event from the Event combo box (top-right corner of class module window), an event procedure will be added to the Class module — just what you get when you add an event procedure to a Form. The coolest thing is that this code can be called from the Form simply by setting the object variables (cmdFirst, cmdDel, and so on) to point to the relevant objects on the Form, or to the Form itself.and so forth. This code sets each of my object variables to point to a particular control on the Form or (in the case of the object variable Form) to the Form itself. In addition, you must set the event property that you want to capture to the string “[Event Procedure]”, or the process won’t work. The first line of this code just declares an object variable that can point to the object you just created, a clsFrmForm2 object. The first line in the Form’s Open event then creates a clsFrmForm2 object by using the New keyword. The second line in the procedure passes a reference to the Form to that object’s DeepsAttach method. The DeepsAttach method takes that reference and sets its internal variables (Form, cmdFirst, cmdNew, and so forth) to the Form and the controls on the Form. It’s also essential that the object you pass to the DeepsAttach method be the Form and not the usual Me. With all this work done, start up frmForm2 and click on its command buttons. All of the buttons work as expected, even though the Form has no code behind it beyond the Form_Open event. All of the Click events fired by the buttons are caught by the routines in the clsFrmForm2 Class module. I then went on to create a specialized Class module, just for the cmdFirst button. I called it clsCmdFirst and gave it the following code:My base functionality sets the Event procedures for Enter and Exit events of the button passed to its InitStandard method. The code also hides the button’s image and sets the button’s caption to the button’s Tag property. The sample Enter and Exit event procedures change the button’s font to Bold and back to normal. Like the DeepsAttach method, the Init method accepts a reference to a Command button and associates it with an object variable that’s been declared with WithEvents. However, the routine also creates a clsCommandButton object and passes the Command button reference to the clsCommandButton’s InitStandard method. As a result, this code associates a single button with both my clsCommandButton object and my clsCmdFirst object. Click events will be processed by the clsCmdFirst object, while the Exit and Enter events will be processed by the clsCommandButton object. I’ve found that I need to be careful about setting these object variables to Nothing when the variables are declared with WithEvents. The usual result of doing so is a GPF. While it’s normally considered good practice to set your objects to Nothing before ending a program, if you’re using these techniques it’s better to just let the variables go out of scope and let Access destroy them and deallocate their memory. To destroy all other objects (the ones used by my procedures that aren’t declared with WithEvents), I added a Terminate method to my objects, put code in the method to set the appropriate objects to Nothing, and called the Terminate method as necessary. This code causes the object to hold a reference to itself, and as long as it does so, the object won’t be destroyed. As the code shows, the function FormDeepInit not only creates the objects, it also adds them to a Collection called qcolDeeps. A Collection’s Add method accepts two parameters: the object to be added to the Collection and a name by which to reference the object. Since the object I’m adding is a Form, I used the object’s Hwnd or handle to the Form’s window as the object’s name. This is guaranteed to be unique and lets me retrieve the object for a Form with just the Form’s window’s handle. I’ve really only scratched the surface of what can be done with this technology (the original version of this article was twice as long!). I’m currently exploring ways to use this technique without having to put any code in the Form at all. The sample database includes variations of the code in this article, plus a great deal more. All of the objects discussed in this article are available for use just by setting a reference to the sample library in your Access 97 database. These techniques are a base of a brand-new programming technology — component object-oriented programming in Access. With minor modifications, these techniques are also applicable to all the VBA-enabled Office 97 applications, VB 5.0/6.0, and the upcoming version of Office 2000. Just like VB, Access can now create standalone objects that can be shared among a variety of applications. Class modules in Access allow you to define objects by writing VBA code. In a Class module, subroutines and functions appear as methods of the object defined by the Class module. Property Lets, Gets, and Sets let you create properties for your objects. The techniques presented in this article can be used not only in Access, but in all the other Microsoft applications that support VBA. The version of VBA that’s used by Access 97 contains some new Visual Basic keywords, which can’t be used as identifiers (these include AddressOf, Assert, Decimal, DefDec, Enum, Event, Friend, Implements, RaiseEvent, and WithEvents). If you try to use these keywords in your code, you’ll get a compile error — that is, except for the WithEvents keyword, which can be used in Access 97. This statement specifies that varname is an object variable that’s used to respond to events triggered by the object specified by objectname. In other words, if you create an object and point the varname variable at it, you can use WithEvents to respond to events fired by the object. MsgBox "Fred has had an Alert event." To get more information on WithEvents, see the “ItemAdded Event” topic in the Access Help file (References collection).